Calling all Tree Hill Ravens for this once-in-a-lifetime One Tree Hill reunion on Lifetime. Recently single Jolie (Hilarie Burton) dreads going home to Louisiana for the holidays knowing that her ex will be in town with his new girlfriend. Naomi (Danneel Ackles), Jolie's best friend, sets her up with her brother Jack (Robert Buckley) and drafts up a contract that gives them both an incentive to sign. Tyler Hilton also makes a musical appearance. 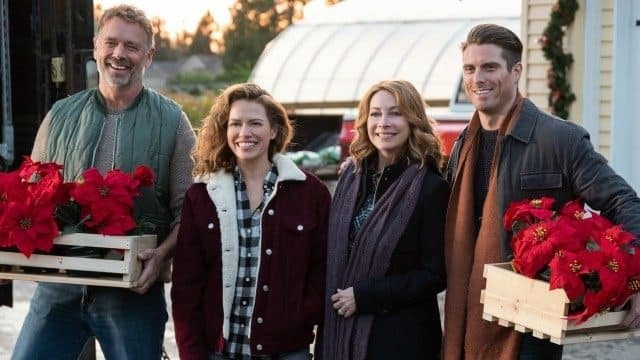 Sadly, Bethany Joy Lenz isn't reuniting with the OTH crew for The Christmas Contract, however, she's spearheading her own holiday movie as Ellie, a woman who returns home to help her father with his poinsettia farm after they fail to turn red. Can she figure out the problem while simultaneously falling for the local botanist? One-fourth of the Mean Girls crew, Lacey Chabert, stars as Darcy Fitzwilliam, a successful who ditched the family business to kickstart her own company. When she returns home for the holidays, she reconnects with an old rival, Luke, who shows her what matters in most in life. Will she be able to repair her damaged relationship with her father before it's too late? The Royals' Merrit Patterson has found a new palace to call home. She stars as Katie, a woman who takes a job helping the King's daughter prepare for a Christmas ice skating performance and accidentally falls for him. Will the people of San Senova allow their King to marry a commoner? 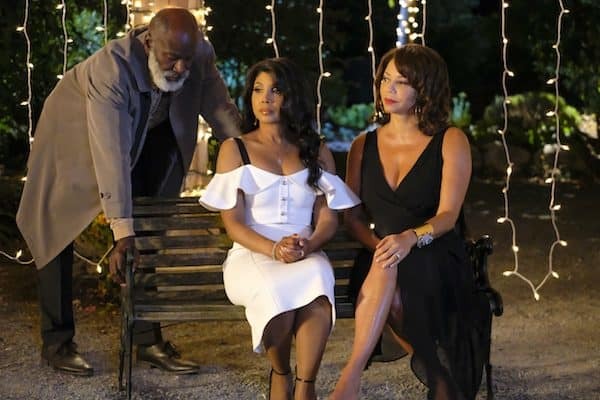 Inspired by Charles Dickens' "A Christmas Carol," Grammy winner Toni Braxton stars as Alexis Taylor, a workaholic who gets a little reality check for the holiday season when she's forced to embrace the spirit of Christmas when her past, present and future collide. Will she risk the one thing money can't buy? Following the recent passing of her parents, Emma returns home for one last Christmas with her siblings in their childhood home. After they reluctantly sell the home, Emma is tasked with selling off their belongings. As it's being appraised, they find a hidden surprise that takes them on the adventure of a lifetime. Also starring Colin Ferguson. Travelers' Patrick Gilmore on Season 3 and His Love of Christmas!